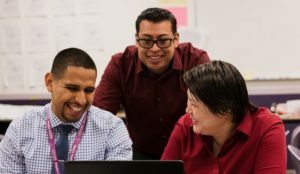 Across our 40 schools in California and Tennessee, 4 regional offices, and Home Office based in Oakland, the Aspire team is made up of over 2,500 teammates working together to ensure College for Certain for all students. One of our core beliefs is that we are better together. By putting people first, prioritizing teammate development, and championing collaboration, we are better able to serve our students and families. We operate with a growth mindset both for student learning and for staff development – wherever you are when you join, from there you will grow. We have built strong foundations for support across our regional offices and schools so that each teammate is set up for success. We also pride ourselves on remaining nimble in order to create or provide supports so that each teammate can maximize their development and their impact simultaneously. 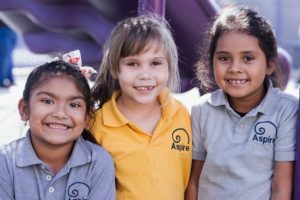 Aspire Public Schools offers full benefits and competitive salaries commensurate with experience. Learn more when you engage in the interview process!